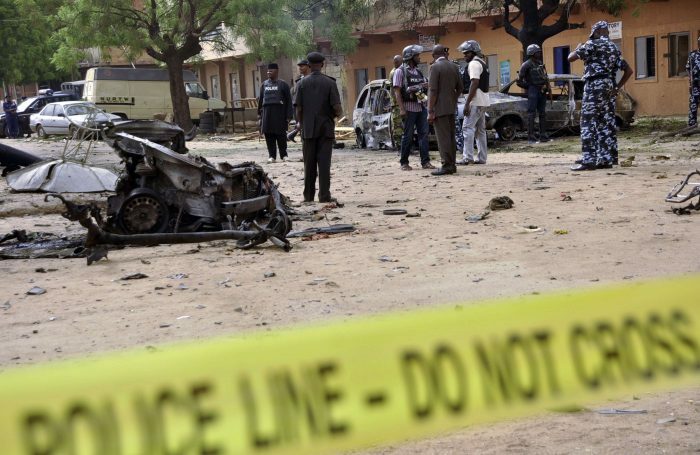 At least 15 persons were reportedly killed, while 18 sustained injuries in a fresh bomb blast in Konduga, Borno State, on Friday. Bulama Kaka, a resident who witnessed the incident, told TheCable that it occurred around 7pm. Kaka said the first bomb was some meters away from where he was while the two other bombs were inside the market. “We all ran for safety after the first thunderous blast occurred. Many people I know were killed in the attack. “Some traders were affected,” he said. An official of the State Emergency Management Agency confirmed the incident, saying victims with minor injuries were receiving treatment at a hospital in Konduga. “Those who lost their lives and people in critical condition have been moved to the University of Maiduguri Teaching Hospital and Maiduguri general hospital,” he said. The attack happened one day after the army placed a bounty of N3 million on Abubakar Shekau, leader of the sect.